Happy New Year all. Time for reflection and to reinvigorate ourselves. Hope 2014 is a great year for you. There’s pointers to many other resources as well and if there is anything we’ve missed, let me know, we’ll add it in. I often get calls from members who are looking for a Business Partner or Investor but are concerned about how much they can reveal of their business idea. 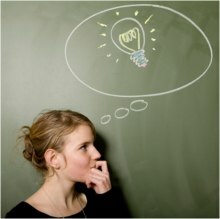 Determine if your idea is patentable. Generally patents relate to new inventions that are not obvious to anyone with knowledge of the subject and can be used in some sort of industry. You may need to employ a patent agent in order to see if your idea is patentable. 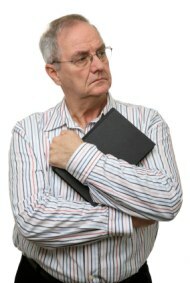 We have more about patent agents in our resource pages. If it is patentable, you should not tell anyone about it until you have applied for the patent, otherwise the idea could be considered in the public domain. If it is not patentable, can the design of your product or brand be registered? Design registration applies to the shape, colour and style of products that aren’t in themselves new ideas but protect your particular design.Again we have an article on our resource pages on this, see Design Registration. Think about protecting your brand. This is your logo, product names or packaging and any distinguishing ways you have of representing yourself. See How Trademarks Work and this resource has information on Copyrights. Spotted a gap in the market? Have a novel way of doing business? Unfortunately there’s no registration that will protect ways of doing business or addressing a new market area. If you are concerned about discussing your original idea for a business with a potential partner or Investor you could ask them to sign a Non-disclosure Agreement. You can see a NDA example here. Finally, get first mover advantage. If your great business idea really is good, eventually others will start to copy you. This is inevitable, but by being the first to market you will already have captured some customer’s loyalty and will be ahead of the competition in terms of understanding the market and developing your product or service. To grab that first mover advantage you must move fast and when you have launched keep innovating, don’t rest on your laurels. To give a bit of reassurance, in all the time that I have been advising and helping people with business plans and bringing business partners and Investors together I’ve seen no cases where an idea has been stolen. Generally it is the implementation of the business idea rather than the idea itself which counts. There are a lot of good ideas, but most never get off the drawing board and the ones that are successful are those that are not only acted upon, but are executed brilliantly. At Company Partners we talk to a lot of Investors and we often get the same observations about what Investors like and don’t like. You know it all, any advice about your product, strategy or sales projections is actually criticism and must be defended. The most important thing is to talk in detail about your product or service, you haven’t got figures but the market is begging for it and the sales will be enormous. There isn’t a business plan, that’s not your expertise, you just want to get in front of an Investor and they will jump at the opportunity. Mails and any communication with Investors are perfectly all right with typos and all in lower case or “text speak”, it’s your idea not your spelling they should be interested in. No work has been done to prove the concept, you’ve not the money, expertise or contacts to do so, that’s why you want an Investor. Although the business hasn’t started yet and has no revenue you want £100k for 20% of the business. Good news you’ve found a potential Investor, but his demands of equity are unrealistic, after all it’s your baby we’re talking about. You don’t have any idea how much investment you need, or what it will be used for, you just know you need someone to invest. Let’s face it, it’s hard to know what is needed or what to avoid when you are seeking investment for the first time and we shouldn’t diminish the hard work entrepreneurs do in looking to grow their business. It helps to learn from others mistakes though. The way people shop has changed rapidly over the last few years. On-line shopping is booming and consumers are using the internet to research and shop for products more than ever before. But despite this massive shift in how consumers behave, many small retail businesses resist the move towards ecommerce. This happens for a variety of reasons – for many people taking their business on-line means entering a realm they feel they know nothing about. People are afraid of the costs involved and that they won’t have the expertise to make it work. However, while traditional shops put off the challenge of learning about ecommerce, new SMEs are setting up on-line and taking a significant chunk of market share from long established businesses that used to dominate in their market. If you own a small or independent retail business and you’ve not made the move online, this piece aims to demystify the process and give you the knowledge you need to feel confident and, hopefully, excited about joining the internet revolution. Why take your business on-line? If you are only operating off-line right now, chances are you are missing out on a lot of potential sales and you may even have lost previously loyal customers to competitors in the on-line sphere. Although it may seem daunting, getting your head around moving on-line could be the difference between your business surviving in the long run or gradually becoming unsustainable. Once you learn the ropes of ecommerce some of the benefits you’ll enjoy include more sales, the ability to serve customers from all over the world, the capacity to engage more regularly with customers and reach a much wider pool of consumers, and the satisfaction of knowing that you’ve stayed at the forefront of the industry where you have built up your expertise. What do you need to make an on-line business successful? At its simplest, getting set up in ecommerce requires a website with a shop, the ability to store stock and post it securely to customers, and a good system to stay on top of orders and manage on-line customer service. If you’ve been running a business off-line for some time you’ll be well aware of the importance of customer service. When you take the business on-line all the same principles apply – great customer service results in loyal customers. This means replying to emails or social media queries quickly, being reliable, offering secure payment and ensuring that customers receive their purchases in great condition and in the time frame you have promised. One way to organise the running of an on-line business is to use a simple project management system like Trello. You can use this system to keep track of stock, orders and create to do lists. Setting up a website is also much easier than you might think. There are lots of great services which allow you to build a website without any knowledge of coding. Generally you’ll pay a small fee each month which will allow you to host your website and run a shop from it with genuine ease. Examples include Wix and Big Cartel. If you’d prefer, you can hire an expert to build a website from scratch for you. If you are going to do this, remember these two tips – choose someone who comes highly recommended to ensure that you’ll get exactly what you need from them, and make sure that you get a content management system (CMS) that will allow you to edit and update the website yourself once it’s finished. If you don’t have a good CMS you’ll have to pay the web developer every time you need to make a change on-site. That is a waste of money when you could be maintaining the website yourself very easily. If you are having a website built from scratch you will still need to find a suitable payment solution for the shop. Choose a well-known provider such as Barclaycard who offer secure and reliable options for accepting payments which you can read about here. When you decide to take the plunge and open an online shop, set yourself a realistic time frame to get yourself up and running. Start by getting the website built and regularly updated before you add the shop. Don’t start taking orders until you know you can manage on-line sales in a timely and reliable way. The last thing you want is to mess up your first few orders and damage your reputation on-line. Once you have the shop operational you can start working on marketing your online business through suitable channels including social media, SEO, paid search and display adverts. Moving into ecommerce is an important step to keep up with the modern retail landscape, and although it may seem challenging it can be extremely rewarding and very worthwhile. Take as much advice as possible and do plenty of research about what your competitors are already doing on-line so you can learn from their mistakes and successes. With Peer-2-Peer lending growing in popularity, Norman Akram realised that there was an opportunity for a company whose business model protects lenders against bad debt (most Peer-2-Peer loans are unsecured). A well tried model already existed in the form of pawnbroking and Norman set about developing a website platform for lenders and borrowers to interact with one another, allowing loans to be secured by suitably valued goods. Although Norman had the concept, he required partners with complimentary skills such as finance, management and marketing. Having tried other places he turned to Company Partners and joined as a member to look for either a business partner or an Investor for his start-up. That’s where Richard Luxmore came in. Richard had joined Company Partners as an Investor and had a background in accountancy and management, but was looking for a new and interesting challenge. After finding each other on the site, they progressed through emails and then Norman and Richard agreed to meet up and look at how they could work together. How did that meeting go? Well the proof is in the launch now of one of the most innovative and fast growing businesses I’ve seen for awhile; Fundingsecure.com . There are some lessons to be had from this success. Do your research upfront. Norman had already gathered accurate statistics and information on competition and the market. When he met Richard, he could present the facts, not just a hopeful idea. Have a vision of what you want to create. Then when inevitably you have to be flexible in altering aspects of the business you can refer back to that vision to ensure you make the right changes. Start with a partnership heads of agreement or get something down in writing of how you will work with your business partner, but be prepared to be flexible in changing it as you discover what works. Build a team of good people around you, be flexible (that word again) with your infrastructure in order to maximise each person’s contribution and to accommodate those good people. Don’t have high fixed costs, such as premises or cars and do as much as you can yourself. Preparing some external work like web site design before the programmers start and preparing legal documents that the lawyers could then review all help precious start-up funds go further. For those thinking of a web based business, be aware that offshore web development may seem cheaper, but in a start-up you need to be able to sit down and talk with your developers, Fundingsecure changed from an offshore developer to a local one to ensure communications worked. If you want to find a business partner like Norman and Richard, have a look at what Company Partners does for its members. Why ideas don’t get investment. “I’ve got a great idea; it will make millions, guaranteed. I haven’t got the time myself to pursue it, so I’m looking for someone to take it on. Maybe I could licence the idea, or sell it. I don’t actually want much, I just want to see it made. Good ideas are 10 a penny. Everyone you meet in the street or bar, has a good idea. By themselves ideas have no value. They are not rare, they are very common. They gain value as you do work proving that an idea will practically and commercially succeed. You should be able to contribute more to a venture than just the idea, your expertise, skills, background, experience and effort will give an Investor more confidence that the concept will work. Ideas by themselves are high risk, the highest of risk in fact. Investors have plenty of choice where they can invest their money; they don’t need to take that high risk. Right, so you’ve got a fantastic idea for a new product or service, it will take some investment to turn the idea into a business, what do you do? Even with no funds you can do market research. Don’t ask your family or friends, talk to real potential customers, think through your target market (see How to market smarter ), construct a marketing plan. This all shows an Investor that the concept is likely to be viable. Do work to move your idea forward. Build a prototype product or start a basic service, to prove the idea works in reality. Get some sales. Even if just a few, or obtain some advance orders, or letters of intent to buy. This more than anything is the big difference between securing funding or not. Not every good idea is a commercial good idea. Showing that customers will hand over their hard earned cash moves the idea from fantasy into an investable business. Why have a business partner? As you may know, we match entrepreneurs with other like-minded business partners and have done so successfully for many years now. But I was asked the other day why people seem to prefer working with a business partner rather than splashing out on their own. After all there are famous solo entrepreneurs aren’t there? Bill Gates, Richard Branson, Steve Jobs, the list goes on. Well, there may be some great entrepreneurs who have never had a partner, but most have. 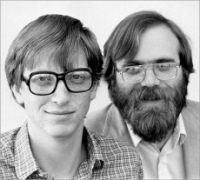 Bill Gates started Microsoft with Paul Allen, Richard Branson always had a founding partner in each of his ventures, starting Virgin Records with Nik Powell and Virgin Atlantic with Randolph Fields & Alan Hellary. Steve Jobs started Apple with Stephen Wozniak. In each case though, the roles and responsibilities were split according to the strengths of the individuals, with one of the founders assuming the public face of the company. Starting a business with a partner is undoubtedly a way of sharing the work load and risk involved. It also allows for a greater coverage of the skills needed, with perhaps one being more comfortable technically and one more at ease with the commercial side. I wrote recently about the reasons for having a business partner, from feedback that our members passed on. There may at some stage be reasons why one or other of the partners wants to move on and as in any partnership there can be tensions at times. To give the partnership the best chance of success a partnership agreement should be put in place. This prevents misunderstandings and establishes a strong basis for a good working relationship. Last week I looked at the preparation needed to write your business plan, now we are laying out the structure of the plan. Not all of the following will be needed for every plan and you must decide what to include based on the use that the business plan will be put to. For instance Business Angels will want to see a section on the Management Team, however if the plan is only for you to run the company you could easily leave that section out. Normally 2 to 3 pages that clearly states what your business does and summarises the main elements of the plan. If you are looking for investment, the Executive Summary is the first information that Business Angels or banks will want to see. They need to quickly understand your business and its attractiveness before they will ask see the main plan. Although it comes first in the structure, you will write it last. You can’t summarise what you haven’t yet written. In the Executive Summary you should state what your companies Objectives or Goals are and even your business’s Mission. 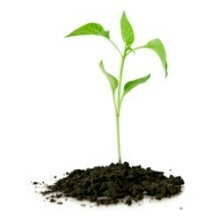 Mission Statements are not just the remit of large corporations; they also give direction to fast growing businesses. Remember the above Exec Summary is done last. 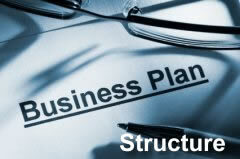 First you layout the main Business Plan sections as below. Describe where your business is located, is it a start-up or how long it has existed, what services or products does it supply, and to what group of people. Include in this section who owns the company and the history of the company. You will already have some knowledge of your market, but now quantify it. Do some book/web research and get real numbers and statistics. Being able to refer back t0 the sources of your information is vital when talking to Investors, it gives credibility. Even if not looking for investment, you must base your plan on actual information, not a personal/general impression that may in reality be far from accurate. Do your own market research, ask people who you believe to be your target customers for information and if they would buy your product. Don’t just ask friends and family. A key part of your marketing is to sub-divide your potential customers into groups that have some similarity. You haven’t got the resources or funds to market to everyone, so create target groups and you will then be able to decide how best to reach them. Look at how understanding the different needs and attitudes of your target demographics may be translated into a strategy. By having segmented your market, the messages that you give to each of these groups can be very different and delivered in a way that attracts that group of people. You may also decide to make differing versions of your offering for different segments of your market. Describe the industry in general and it’s size. Specifically talk about the competition in the industry and how you compare. Describe buying patterns; are sales seasonal for instance, do they depend on other factors, how long is the decision process to buy. Is there price sensitivity, or is quality and service the most important? Strength – Weakness – Opportunities – Threats analysis. You may not want to actually include this here. It may be better in a appendix, or kept separate simply as part of the background to understanding your business. These sections are about implementation, so think about how you will put in place strategies and activity to take advantage of the differences that your products/services have. Specify your strategy for reaching your target market and the main actions needed to carry out these strategies. You should include PR, Direct Marketing, advertising, sales calls, customer referrals, special deals/promotions, endorsements, partnerships, sponsorships etc. You have a great product/service, but no one will buy it unless they know about it. See our resource on making a Marketing Plan and then include the main elements in this business plan. Will you sell on-line, have your own sales force, franchise or not, will you have distributors, a store, a warehouse? A restaurant, bar or cafe needs premises to sell from. Where and what location, how about “foot-fall” for high street premises. Will you sell in bulk, or minimum orders, discounts, pricing and loss-leaders, all the nitty-gritty of how sales will be made has to be thought out. The finance section of most business plans includes 3 years of forecast. The first year by month and the next 2 years as separate yearly totals. Some industries may have longer forecast needs, but not normally. People find this section hard to do, but you have to give it your best estimate. Note down the assumptions that you made in coming to that estimate, so you can justify it. When operating you can compare actuals to forecast and look back and see if any assumptions needs changing. Sometimes you can get an idea of your likely sales by looking at your competitors, or competing products & services. If the plan is only for internal use, you will not need a full biography of the management team of the business, which you will certainly need for Investment purposes. Even if it is a one person start-up, you will need to say something about your background that makes Investors believe that you are capable of being successful with their funds. There’s no need for a full CV in this section, just a summary, picking out relevant details. ﻿﻿﻿In this section also you can say how the personnel levels will grow over time and what skills or positions will be expanded. As mentioned with the sales forecast, the financials are normally the first year by month and then the next 2 years as a yearly total. If you have the sales forecast ready, all you need then as preparation are the costs of the business. Typically these are split between fixed costs and variable costs. The putting together of the financial side of the business can be done on a spreadsheet for small businesses but larger concerns will need to use an accountant to translate the forecast and costs into full financials that include a balance sheet, cash flow and Profit & Loss accounts. Alternatively, there is software around that will guide you through putting all the sections of a plan together and also produce the full financial section. Try this business plan software, we’ve looked at many and this turned out best in our review. It’s important not to get stuck in any one section of the plan. Do your best and move on, keep momentum going. If possible bounce ideas around with your team, a business partner, or a friend. If you need a Business Partner, Mentor or Investment don’t forget to join Company Partners. Firstly do you need a business plan? Many small businesses have never had a formal business plan. Think of your corner store, or the self-employed tradesman that came to fix your heating, they almost certainly don’t have a written business plan. But then again they probably aren’t thinking of growing very much either. If you do want to ensure that your business will thrive, or you want a bank loan, or investment, then you’ve got to get a business plan written out. Why? Well it’s not until you have to think clearly enough about your business that you can succinctly write down its aims and how you are going to achieve them that you can put the actions in place to ensure it will be a success. Usually there are two basic reasons for writing a plan; you want a plan to enable you to run your business, or to show a source of funding the information about your business that they will insist upon before putting any money into the company. The look of the plan and what is included in it will vary on the use that you put it to. If it is mainly just for you and your staff to run the business, you’ll not need all the background and management bios that you’ll need for an Investor. How long will it take to write a business plan? That depends on whether you have all the information to hand and how diligent you are at working on it. We’re not all gifted writers, but it doesn’t have to be a work of art, it’s more important that it covers the essentials, has a good flow and if looking for funds, NO typos. If spelling isn’t your thing, get it checked. There’s nothing more off-putting to a potential Investor than a sloppy document. Generally writing a plan can take from a few weeks to a few months. There’s a logical process to writing a plan but when working through it if you get stuck at one point, do your best and move on. You can always come back to it later and it’s more important to keep enthusiasm and momentum going. So now looking at the first steps. There is a bit of pre-writing planning and thinking to be done. Sit back from what you are doing and think what your personal goals are. Do you want to create a business that will provide you with a steady income, or are you pushing to become a multinational corporation? Are you readying your business for being sold, or have an invention that you want to be successful? Then decide the businesses goals that will support you accomplishing your personal objectives. You can start to think about what your businesses aims and ambitions are – often called “The Mission Statement”. Considering your businesses goals, what strategies can you think of that will help you to achieve them. For instance if one of your goals is to start-up a new business that will rapidly grow to be country wide, you’ll need strategies around product or service development, marketing and publicity and how you will price and differentiate yourself compared to competitors. Jot all of these thoughts down in a simple bullet point or note form, for reference later when you come to actually write the business plan. It sounds obvious, but keep them organised under your own headings so you can easily find these moments of inspiration again. You have roughly laid out your goals and strategies, that’s good, now what specifically will you need to do to make these strategies work? You don’t at this stage need a comprehensive list of actions and so you shouldn’t feel daunted by the effort of having to decide everything now. But start noting down the things you’ll need to do to make each of your strategies work. Think also what resources you’ll need to make these work, for example; staff, funds or special expertise? The final part of this pre-plan stage is to begin to get a feel for what other information you are likely to need to hand when writing the plan. If the business plan is for investment purposes you’ll need the history of the company, or for a start-up the background to why it is being started. Get staff or management bios ready if appropriate. Gather your facts about the market and your competition. Make a note of where you get any market facts so that you can reference this in the plan. Think through carefully who your target market is, you will want to include a section on how you split up your market into sub-sections (called market segmentation). Now with most of your goals, strategies and facts to hand you are ready to begin work on writing your business plan.